In the user rights, access to functionalities is configured. Amongst tother things, this category includes both the visibility of individual modules, as well as the use of the import, export or management of rights templates functions. A complete listing is directly visible in the user rights. Managing all user rights exclusively at the level of the user would be a time intensive process and thus require a disproportionate amount of care and maintenance. In the same way as with the authorization concept, an approach can be used in which several users are grouped together. Nevertheless, it must still be possible to additionally address the specific requirements of individual users. Some functionalities, on the other hand, should be available to all users. In order to do this, Password Safe offers a three-step concept. The personal user right only applies to a specific user. This is always configured via the organisational structure module. 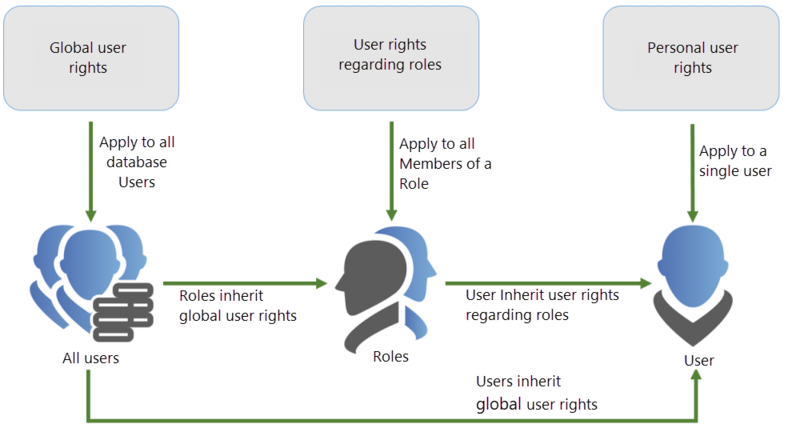 The global user right applies to all users of a database without exception. You can configure it in the client settings. How a user receives a user right is irrelevant. The only important thing is that the user actually receives a required right in one of the three ways mentioned above. It is recommended that you link user rights to roles and, if necessary, supplement them with global user rights. 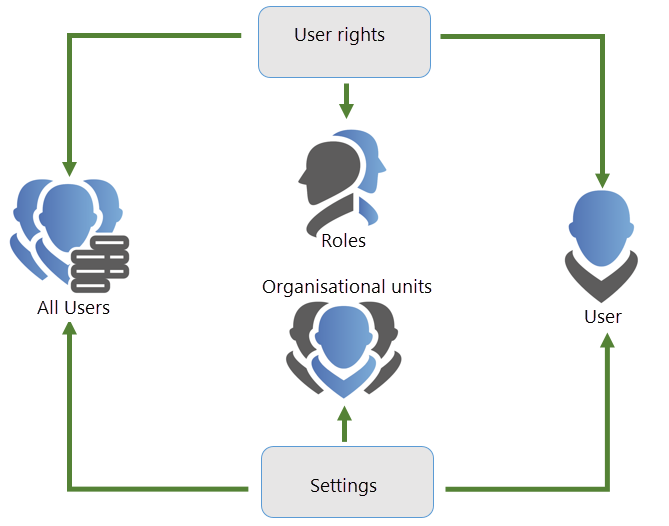 !In addition to personal and global user rights (as opposed to settings), user rights are assigned via roles and not via organisational units! *Only those user rights that the current user possesses themselves can be issued. However, all rights can be removed. The security level is an essential element that is also specified in the user rights. 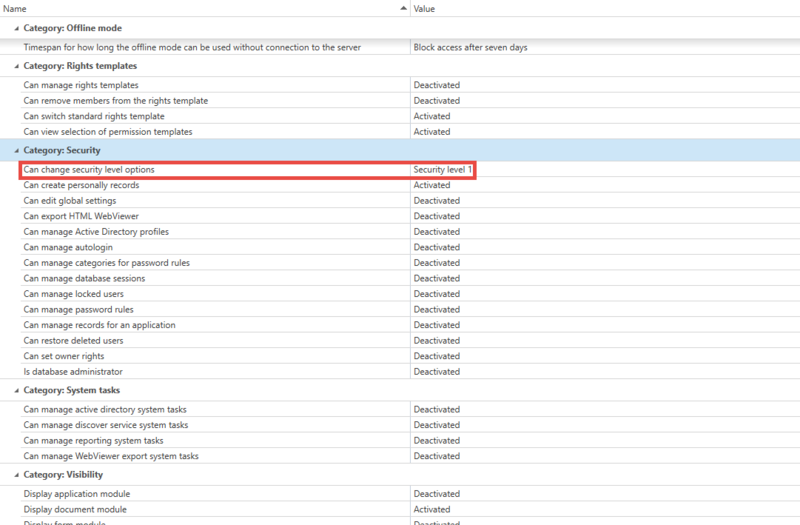 This is the basis for the configuration of the user settings. Due to the large number of possible configurations, the search function helps you to quickly find the desired configuration. This process is based as usual on the list search. The user can also issue rights that he does not possess himself. The user can only have their rights removed by other database administrators. The user can unlock other users on the AdminClient.